Scheruhn Consulting Engineers are competent and reliable partners to support you in realising your onshore or offshore wind farm projects. With comprehensive expertise and extensive experience at every stage: From the first project planning to realisation of the windfarm. We support you with project management and technical advisory in tendering, contract preparation and contract evaluation, as well as risk assessment and risk management. Furthermore, we offer optimisation of sales processes and we manage and supervise production and installation processes. 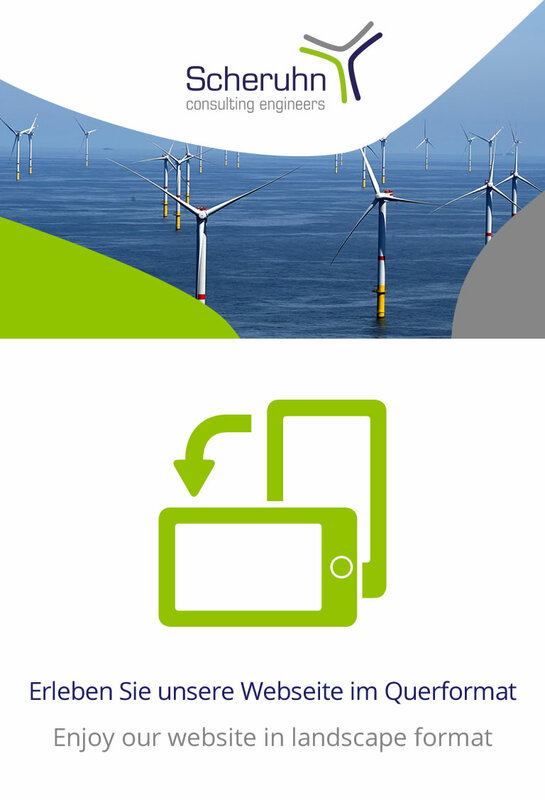 In addition to our contacts in the wind industry we are members of relevant industry and professional associations. © 2017 - Scheruhn Consulting Engineers. All rights reserved.